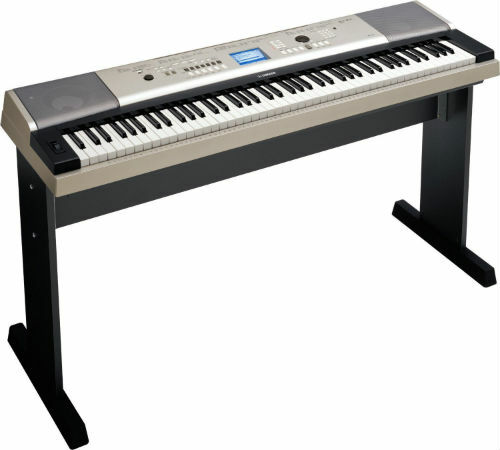 Yamaha’s digital pianos come in a wide variety of categories, including keyboards, digital pianos, console digital pianos, and portable keyboards. All of the different categories showcase a different personality of piano, with something to fit everyone’s needs. Another category in the midst of these is Yamaha’s Portable Grand series. Most of the machines in this series have a full 88-note keyboard and focus on combining portability with the feel of a grand piano. The Yamaha YPG-535 is part of this series. According to Yamaha, it’s a step above the DGX-530 model and a step below the DGX-640. But it packs a whole lot of punch on its own. 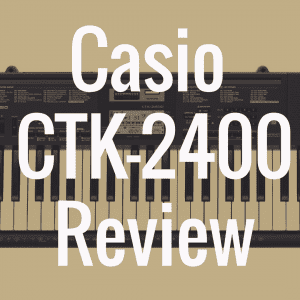 This is the kind of piano that isn’t too far on either end of the spectrum, in that it isn’t just for piano purists, and it’s also not just for synthesizer fans or producers. It has a little bit of everything. 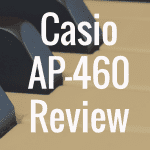 No matter if you’re an advanced piano player or a new beginner, you’ll be able to get a lot out of the YPG-535. 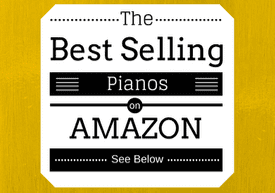 Below, please enjoy the interactive guide that was created to make your piano purchase easier. Compare the affordable Yamaha YPG-535 to the best instruments in its class based on weight, price, and even customer reviews from Amazon.com. The YPG-535 isn’t too big in stature, and one could say it has just the right size. Even though many pianos claim to be highly portable, you don’t realize all of the important characteristics the engineers have given up obtaining that portability. This piano has just the right mix, so you know you’re getting an all-around value deal. Including a keyboard stand this piano is about four feet long, and two and a half feet high. Officially it weighs 37 pounds, which isn’t the lightest in the world, but is a lot better than some of the fifty and sixty pound models out there. I like the design and build of this keyboard. The first thing that might stick out to you is its distinctive color, which Yamaha describes as a champagne gold. It’s a nice clean color that I haven’t seen on too many other keyboards or digital pianos. The speakers sound really nice, and they are both 12 centimeters with 6-watt amplifiers. The lining around the keybed casing is a nice black color, so if you choose to get the matching black stand it will be a nice fit. 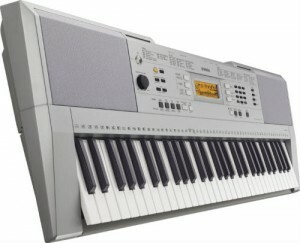 How Are the Keys on the Yamaha YPG-535? The feel of the keys is a bit light, and that’s due to the Graded Soft Touch (GST) action system in this particular piano. Yamaha has a number of different keybed action systems, ranging from GST, Graded Hammer Standard (GHS), Graded Hammer Effect (GHE), and Graded Hammer 3 (GH3). Each one of these keybed systems provides a different feel, and a different level of engineering. Unfortunately, GST is at the bottom of this list and is probably the cheapest. It’s the action system that gets put in a lot of their lower end models, and it’s the reason you hear a lot of clicking when you play the 535. Despite the keybed, this piano still has Yamaha’s proprietary Advanced Wave Memory (AWM) Stereo Sampling technology. 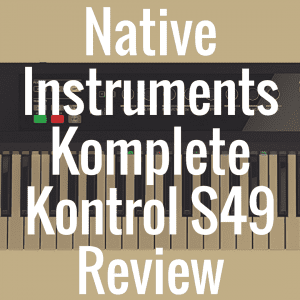 This tone generation system sets a lot of the Yamaha models apart, in that it’s able to take three different layers of concert piano samples and match them perfectly with the way you play. So no matter if you’re playing soft or hard, the AWM system will collaborate with the samples stored internally to recreate a real piano experience. However, this piano only has 32 notes of polyphony, which is a bit surprising. Don’t be surprised if the more you incorporate pedal usage and more advanced pieces that notes begin to drop. The 535 has an amazing number of voices to choose from. Along with the exciting grand piano sound, it comes with over 500 different voices, ranging from instruments, to drums, to string and brass sections. There are 127 panel voices, along with 12 drum and SFX kits to choose from. However, one of the best parts of this piano is the 361 XGlite voices, which include their signature ‘Sweet!’, ‘Cool!’, and ‘Live!’ voices. XGlite is a version of Yamaha’s XG, which is their extension to General MIDI standard voices. This is very important for people who consistently use MIDI, as using these XGlite voices will give you an advantage when transferring to other MIDI devices. Basically, when you end up transferring data it won’t sound different when you take it from one platform to the other. Yamaha boasts themselves as being a “world leader in digital signal processing technology.” So it’s kind of surprising that this particular piano doesn’t have their signature Digital Signal Processor (DSP) onboard. But they do have nine different kinds of reverb, four types of chorus effect, and an amazing Master EQ system which can process your data five different ways. All of this technology goes well with the 6-track recording system, which will allow you to record and save your data, and even transport it to a personal computer. You’ll be able to transport any of this data through the YPG-535’s awesome USB capability. A lot of keyboards and digital pianos don’t even have USB ports, so it’s pretty amazing that the 535 has two. It has a USB to Host port, which will allow you to connect with a computer and record or transfer MIDI material. Then it has a USB to Device port, which will allow you to connect flash drives or other types of USB flash memory to transmit recorded songs or bring in data downloaded from the internet. It can take your music composition to a whole new level. The YPG-535 also comes with a lyric and chord notation display, which is great for new beginners and learners who need to see the music notation and hand placement for different songs. In addition to that there’s Yamaha’s Education Suite (Y.E.S.) which has 30 to 100 different songs to learn with. This innovative feature separates the left and right hand portions of each song, using specific lessons and a chord dictionary to teach the piano. Looking at the Yamaha YPG-535 as a whole, you can really begin to see how much quality has been packed into one machine. Aside from the inconsistent keybed, there are so many things which showcase Yamaha’s great ability to create quality digital machines. And for a price of anywhere from $400 to $550 this would be a value deal for any aspiring piano player. For more reviews, be sure to visit our homepage for more information. 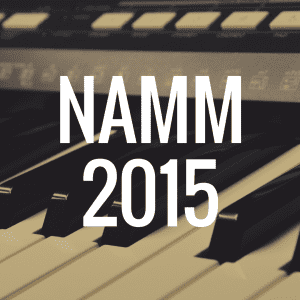 1) What’s the Best Yamaha Digital Piano? 4) What are the Best Electronic Keyboards for Beginners? 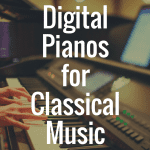 What’s the Best Digital Piano for Classical Music? 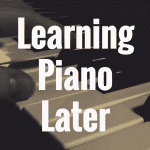 Learning to Play Piano Later in Life: Is it Ever Too Late?